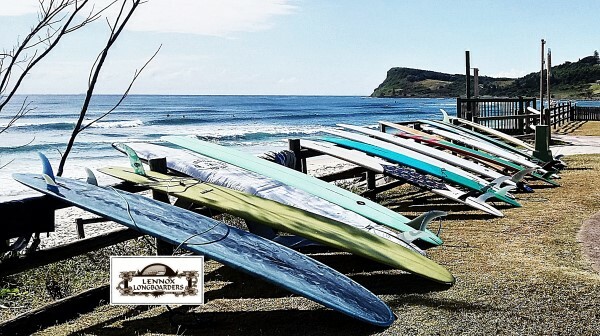 Lennox Longboarders Rounded off 2018 with their Xmas party & club presentation on the Saturday Dec 15th. At the Williams Reserve Sports Club house. Great night with again a special appearance of Mr & Mrs Santa. Real treat for everybody. Club Presentations were as follows & congrats to all that were involved with the club in 2018. Club Champion – Terry Kay. Club Ladies Champion – Eleanor Robertson. Club Mens 2nd – Greg Gover. Club Ladies 2nd – Roz Brown. Ladies Encouragement – Veronica Silver. 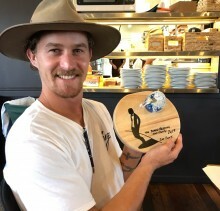 Mens Rookie – Jake Ryan. Ladies Rookie – Celine Machel-Walsh. Club Sponsor of the year – Lennox Surf. Clubperson for 2018 – Nick Mitchell. Special mention to all who supported this great family club thankyou. 2018 we had over 70 members , with something like 30 plus surfing our club rounds. 1/3 of the club surfing is Ladies. News from 2018 is that the Club Caravan the iconic Blue beast seen around Lennox for 20 years is going into retirement. To make way for a new Club Trailer. We are a fun family Longboard club, that relish in the art of Longboard Surfing. 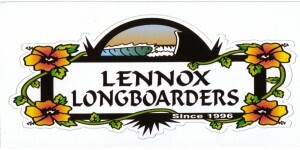 Email- club@lennoxlongboarders.org & Phone – 0423139559. Look forward to bringing you local longboarding stories throughout 2019.